Join our MOMversation "Learning Beyond the classroom Home + Work = Fun "
Chat its up with us for 24 minutes AFTER the show. And don't forget to Tweet, TXT and Facebook all of your MOM friends to invite them to join us at this weeks 24/7 MOMS Live web cast. ( TV Show on your computer). The celebration junkie is at it again - and I'm trying to decide what yummy sweet treat to create to celebrate Back To School with my kids. I came across some yummy recipes and pictures that are sure to be the start of a sweet craving in you. ( click the picture for the recipe). Which sweet do you think I should create this year? As the blissful summer days packed with ice cream, Italian ices and barbeque come to an end, parents might be thinking about how to start their kids off right when they return to school by packing delicious, but nutritious lunches. We at Pirate’s Booty, makers of deliciously baked all-natural snacks made from puffed rice and corn, first developed our products specifically for kids in 1986 – before healthy snacks even hit the marketplace. The motto at Pirate’s Booty is that no matter the age – tot to teen – children need to learn how to eat healthy and balanced to sustain good eating habits for life. Lay Off the Meat Pie – Opt for leaner meats like turkey or chicken that are low in fat, but high in protein, so your child can grow up big and strong. Open the Hatch – Expand the range of foods in your child’s repertoire to include a little from each food group – grains, protein, dairy, fruits and vegetables. Cut the Sugar, Scallywag – Avoid over sugary snacks and cakes and your child will surely avoid the inevitable energy crash and possible weight gain. Don’t Drop the Snack Anchor – Noshing on snacks that are low in sugar and fat will keep a child’s energy up for that big test in between breakfast and lunch. Pirate’s Booty is a perfect fit for the “Don’t Drop the Snack Anchor” tip above, as our products are low in fat, trans-fat and gluten free as well as tree-nut free, so it’s perfect for the kiddies. Pirate’s Booty comes in great subtle flavors like Aged White Cheddar, Barbeque, Veggie, Bermuda Onion and Sea Salt & Vinegar. Pirate’s Booty tastes so good, that kids don’t even realize they’re eating something nutritious! Now, look out for Pirate’s Booty six packs at your local grocer – the one ounce sized bags are the perfect addition to a healthy lunch. Check out our web site to learn about other great tasting snacks available. Snack like a renegade with healthy fun deliciousness. Let’s weigh anchor and hoist the mizzen! 1. Become a 24/7 MOMS Subscriber Enter your email address below then leave a comment that you subscribed. Make sure you leave a way for us to get a hold of you! 2. If you are already a subscriber just leave a comment that you are a subscriber. US entries only and one entry per person. Winner will be chosen on September 6th, 2009. By Kendra Smiley author and speaker. #5 music; and #6 video games. How can you help your children shop responsibly, whether it's a small shopping spree or large one? - Help your young adult understand the difference between needs and wants. One way of demonstrating this is by encouraging your child to participate in a mission trip. Such trips can expose your child to people in different socio-economic levels who struggle with meeting very basic needs. 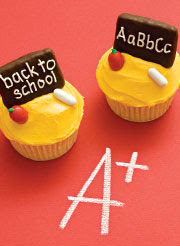 - With your child's help, make a budget for his back-to-school needs. That will give him a basic understanding of what a budget is and how it works. Let your child know how much money you will contribute to the budget. - If you are paying the bill for everything on the budget, allow your teen to augment the amount with his or her own income. - Teach the simple principle that you can only spend a dollar once. - Encourage your son or daughter to wait before purchasing something on impulse. The item can always be put on hold while the deliberation continues. That is better than purchasing with the idea it can be returned later. - Remember that if a purchase or a potential purchase is inappropriate and doesn't meet your family values and standards, you set the limits. You are the parent. Be sure to Stop by Kendra Smileys site and read more of her inspirational writings. Not only are these the BEST smelling hair care products I have ever smelled the Novotny girls seem to like them a lot as well! Every Glop & Glam product is free of harmful alcohol, paraben and formaldehyde [hydantoin dmdm], unlike most detanglers and other finishing products. Glop & Glam combines organic ingredients like aspalathus linearis leaf extract, euterpeoleracea fruit extract, glycine soja (soybean) protein and punica grantatum extract with amazing natural nutrients such as aloe, camellia leaf extract [green tea] and echinacea derived from purpurea extract. These combinations protect hair from ever present and damaging environmental toxins. Beware! Glam Creamsicle Detangler- Perfect for hair that has spent the day in the scorching sun, salty beach water, or chlorinated pool. This detangler incorporates Echinachea and Aloe to condition and fortify hair with necessary nutrients. Glam Chocolate Cream- A lightweight anti-frizz shine cream designed to provide instant control for flyaway’s and provides a textured movable hold. Glam Bubble Gum Glitter Gel- A lightweight styling gel that provides instant hold and definition with a sparkle and shine appeal. 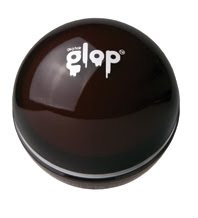 Glop Chocolate Controller- A lightweight paste, like the cream, designed to control frizz and add shine, but also provides more texture for shorter or layered haircuts. Glop Banana Spike Molding Putty- A medium weight styling putty designed to provide instant style building for any look while keeping hair looking healthy and natural. Glop Watermelon Hard Candy Gel- A lightweight, non-flaking styling gel keeps hair shiny and manageable throughout the day. Designed to give hair a fierce holding power, lifting into any direction desired. Q: Where Have All The MOMS Gone? A: They are hanging out every Tuesday Night at 24/7 MOMS Live webcast at 7pm PST / 10pm EST. Porch Breakfast - Host a neighborhood Back To School breakfast a few days prior to school beginning, to encourage kids to begin the early morning routine. - Deliver invites several days ahead. Create them with a school theme. - Provide easy finger foods, fruits, muffins, bagels, scones, and beverages. Bus Stop Breakfast – Host a simple breakfast at your school bus stop on the first day of school. - Deliver flyer's letting everyone know to come early to the bus stop for a breakfast treat. - Decorate in school theme. - Alternative idea is to serve it out of a wagon place all foods and to go drinks in the wagon. Ice Cream Social – Host a fun Ice Cream social with a sundae bar after the first day of school or a few days prior. - Provide Ice cream, toppings, whip cream, cherries and cones for a Make your own buffet. - Decorate in fun ice cream décor or school theme. SPA Fun – Create an at home spa with facials, manicures and pedicures or treat your daughters to a manicure or pedicure at the salon. Special Dinner Celebration – Celebrate with a fun family dinner the night before school begins or on the first day of school. - Serve your kids Favorite foods or go with a apple theme. o Favors – fun erasers, pencils etc. - Present your child each year with a new reading book that you have written a note inside of to them. 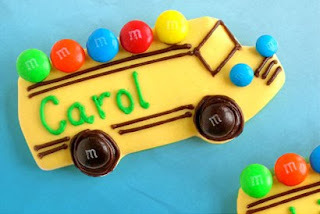 - Magic School Bus – deliveries a bag of supplies and gift. In Germany the children wake up on the first day of school to a tradition of receiving a Schultuete or sugar cone which is an over sized paper cone filled with school supplies, candy and small toys! This tradition began about 1810 when their sugar cone was filled only with sweets, today the find pencils, crayons and erasers and other surprises in their cones. You can make a DIY (do it yourself) Schultuete by forming a cone from a sheet of poster board and covering it with colorful wrapping paper, scrap book paper or stickers. You can make it which ever size you choose by adjusting the size of the poster board or paper! Add Tissue to the top of the cone for the finishing touch. Create fun simple memories as your children head back to the classroom this school year. The eldest Novotny boy can tell you his favorite pen for college is the Zerba pen line! These great pens will be a great addition to any back to school bag this school season. It’s back to school for kids, and back to work for those who indulged in the lazy days of summer. Students and professionals everywhere can now stock up with a full lineup of stylish and affordable writing products from one of the leading manufacturers of writing instruments, Zebra Pen Corporation. As an industry leader, Zebra Pen prides itself on consistently delivering products that stand up to the highest measurements of quality, innovation and value. Children who’ve fallen in love with Zebra Pen Cadoozles Mechanical Pencils—and those who have yet to discover them—are in for a treat! With a variety of brand new designs to choose from, these colorful pencils put the “fun” in functional. Eachfeatures a wood case barrel design and large, colorful erasers that advance lead when pushed, so they never need sharpening. For those looking for an everyday writing instrument with a great value, Zebra Pen’s Z-Grip Retractable Ball Point Pen is available in a variety of colors, featuring a soft rubber grip for writing comfort and a sturdy metal clip for easy accessibility. 1. Become a 24/7 MOMS Subscriber Enter your email address below then leave a comment that you subscribed. Don't forget to leave us an email address to get a hold of you at. With the school season right around the corner, now is the perfect time to start preparing your elementary school aged children for their best school year yet. Since parents cannot be at school to watch them, make sure you give them the example and guidance at home so when they go to school they are ready to enjoy themselves and be healthy and safe. Keeping kids healthy and safe are by far the most important ingredients to a happy school experience. Helping your children eat a nutritious and substantial lunch is critical to keeping kids productive and energized all day long. Children are never too young to learn healthy nutrition habits that will reflect on their entire life. It doesn’t matter whether the child is overweight or not, every child should learn healthy eating habits from their parents from the moment they start eating solid foods. Proteins. Use lean deli meats, such as turkey, ham or roast beef. Wrap up the meats with thinly sliced Swiss cheese or part skim mozzarella string cheese. Use a little mustard instead of mayonnaise for a little extra flavor. If you opt for a sandwich, use whole grain breads and pita . Stay away from processed breads. Add a slice of tomato and a lettuce leaf for color (no iceberg lettuce please) and healthy veggies (you know it, carrots, celery, cucumbers). Throw in several small snacks in addition to the protein. A trail mix with your child’s favorite nuts or granola and some raisins or dried fruit like cranberries, cherries or apricots (stay away from dry fruit that have been preserved with sulfates). If your little one loves chips, corn is better than wheat and sweet potato is better than regular potato. Veggie chips are a good and healthier choice. You can also substitute with popcorn, baked potato chips as well (read the labels and make sure the list of ingredients is short and only includes the veggies you want your child to eat. No child should have to eat maltodextrin, polysorbates and gobs of sugar and salt). Don’t forget the real vegetables. Stuff a baggy with celery and mini carrot sticks and some peanut butter for dipping. For dessert, give your kids an oatmeal cookie, fresh fruit, such as orange slices or grapes, instead of a bag of Oreos or Jell-o, they are all chemicals and of no nutritional value. Drinks are just as important as the food your children consume. Skip the sugary fruit juices. Try water or skim milk. If water is too bland, have your child try some flavored flat or sparkling waters at home to see which flavors she likes. If he’s a huge fan of fruit juices, make sure to look for ones that are 100% juice or diluted with water. Stay away from artificial sweeteners. Sugar and honey are perfect sweeteners but I find it best to teach your child not to use any type of additional sweeteners so their taste buds don’t get hooked on sugar. · Personally check out your child’s school playground before the school year begins. Check for broken or rusted equipment, sharp edges or points and tripping hazards. Report any dangers to the school administration immediately and make sure the problem is corrected before your kid and all the others get exposed to unnecessary dangers. · Teach your children, before they go to the playground, the rules for safe playing. Explain to them that there is no shoving, pushing or yelling. Explain how important it is that they listen to their teachers on the playground. Show them which pieces of equipment are suitable for their age. Help them understand how to play correctly on the specific pieces so they don’t injure themselves. Take them to the local playground and show them on similar pieces of equipment so they are familiar with the equipment before faced with it in the schoolyard. · Check for protective surfaces surrounding each piece of equipment on the playground. Finally, make your child’s experience in school and on the playground fun and enjoyable. Do not scare your child or worry them, Life is to be enjoyed and not feared. We want your YELLING Help to continue to make 24/7 MOMS LIVE the #1 LIVE web cast for moms by YELLING about us you will be entered for a chance to WIN this weeks MOMtourage giveaway. Yesterday the two youngest Novotny boys meet their teachers for the coming school year, we are excited and anticipating a GREAT school year ahead. New Teachers and the start of a new school year is the perfect time for another lesson in giving and showing their appreciation to others by creating simple gifts for their new teachers. I discovered the perfect list ideas for the mommy Stewart's like me - Simple - Fun - Creative and Do-able. Stop by and visit Sugar Doodle for more great tips and ideas. Bookmark: We'd like to "Thank You" with speed. So here's something for when you read! Can or bottle...: We can't keep it "bottled up"...We just have to say thanks! Cookie: Thanks! You're such a smart "cookie"
Flowers: THANKS For Keeping Our Friendship "Growing" !! Grapes: When it comes to a Teacher... You're the BEST of The Bunch! Gummi Bears: THANKS! Our job would be "Unbearable"
Hot pads: When it comes To giving of Yourself... You're "Hot Stuff"!! Lotion: Here's a bottle of lotion for all the kindness you set in motion! Peanuts: Please Don't Forget... How much you mean to us! Soda: "Soda" you know how much we appreciate you? Mints - Thanks! You're worth a MINT to us! "Thanks a mint (place a small York Peppermint Pattie) for all you do in Primary..."
"Don't snicker (place a small Snickers bar), but we think you're great." "Thank you for your faithfulness in serving in Primary. You're worth more than $100,000 (place a small 100 Grand bar)." We just can't do without your "smarties"
Even just a "bitahoney" goes a long way... thanks! A couple of years ago our Primary presidency made everyone that worked in the Primary a pie. Attached was a note that read "The Pie-mary Thanks You". Have the children make notes for their Primary teachers...collect them and deliver them with the pies. We did a candy gram using the small candy bars that come in 10 packs. We wrote, "Don't snicker but be twix you and me we think you are a delightful teacher. Thanks a bunch. Have a grand day." Depending on how many you need this is very inexpensive. It costs about $4.00 to make 10 of them. We bought little boxes of whopper candies and wrote, "Thanks for helping us have a whopper of a good time in Primary." M&M's - You are a marvelous and magnificent teacher! Soup or soup mix - You are a "Souper" teacher! Apples and Hershey's Hugs - A teacher can't live by apples alone...She needs "Hugs" too! Loaf of Bread - For being there when you were "Kneaded", for "Rising" to the occasion, large or small. For never "Loafing" on the job, for helping others to "Heel" with TLC. No matter how you "Slice it", you do a terrific job being our primary teacher. Nuts - We're nuts about you! Candle - You make our primary so much brighter. Any Sweet Treat - You sure are sweet! Oranges - "Orange" you glad you're in Primary!? Pasta - (Or any Pasta and a bottle of sauce) You are 'Pasta'-tively wonderful! Rice Krispie Treats - "Snap, Crackle, Pop" We think You're really Tops! Banana Bread - Banana Bread just for you, because you have so much to do...We also love you a whole "Bunch" too! Chocolates - You're so Sweet...having you in Primary is really a treat! Donuts - "Donut" you know we love you?? ?